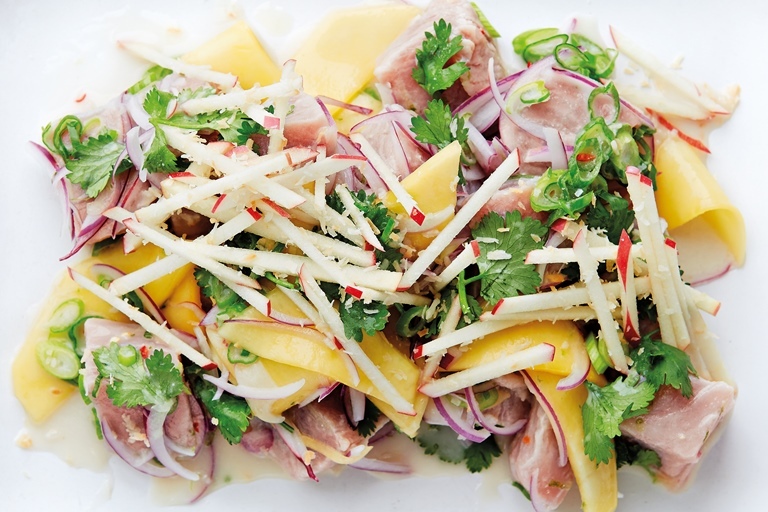 This delicious ceviche is inspired by the Polynesian-style raw fish salads Peter Gordon grew up with in New Zealand. Chunks of fresh tuna are marinaded in lime juice, then tossed in a vibrant coconut and coriander dressing just before serving. This recipe is from Peter Gordon's book Savour: Salads for all Seasons.